This recipe is loaded with a good dose of healthy fats and perfect for any dietary restriction – vegetarian, gluten-free, weight watchers, low-carb, paleo diet, and more! 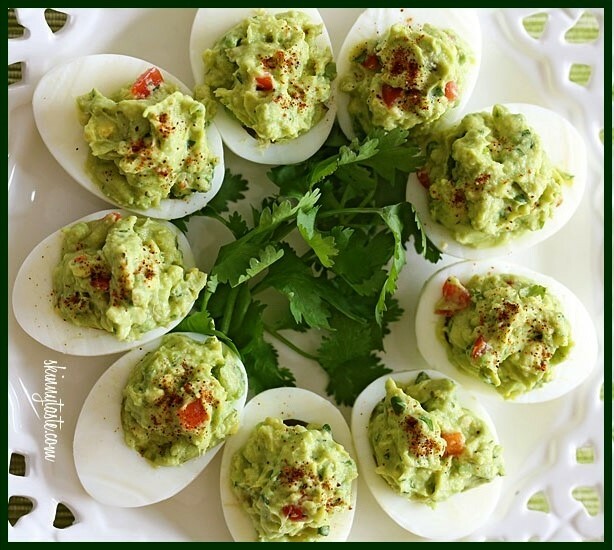 Hard-boiled eggs provide good fats called monounsaturated and polyunsaturated fats. Replacing saturated and trans-fats as much as possible with monounsaturated and polyunsaturated fats stabilize your blood cholesterol levels and lower your overall risk of heart disease. These heart-healthy fats also regulate insulin in the blood, which keeps the blood sugar within a healthy range – especially beneficial if you have type 2 diabetes. 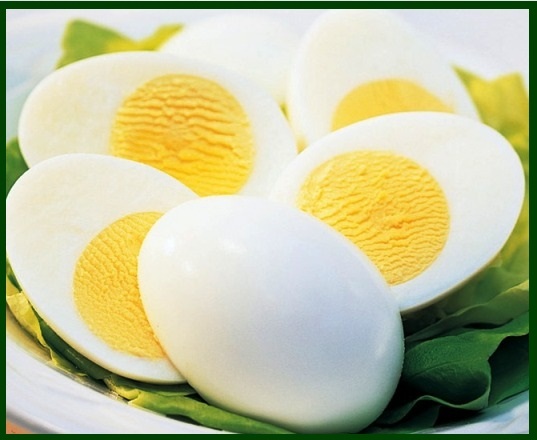 More than two-thirds of the fat content of hard-boiled eggs comes from good monounsaturated and polyunsaturated fats. 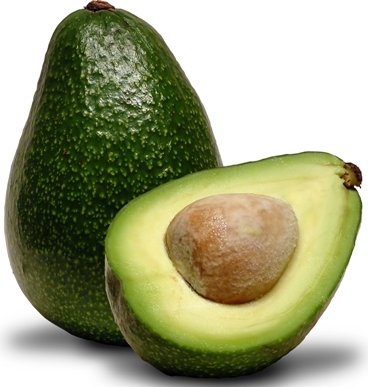 Avocados also provide monounsaturated fat, which is a “good” fat that helps lower bad cholesterol, as long as you eat them in moderation. They are a source of a multitude of necessary vitamins including vitamins A, B6, niacin, C, K, and folate, and they have a full range of minerals and other trace elements including magnesium, iron, copper, and calcium – all of which boost brainpower and support the immune system. 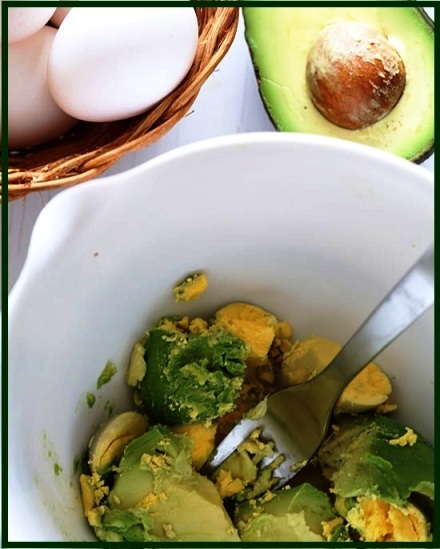 In a bowl, mash the avocado and 2 whole egg yolks. 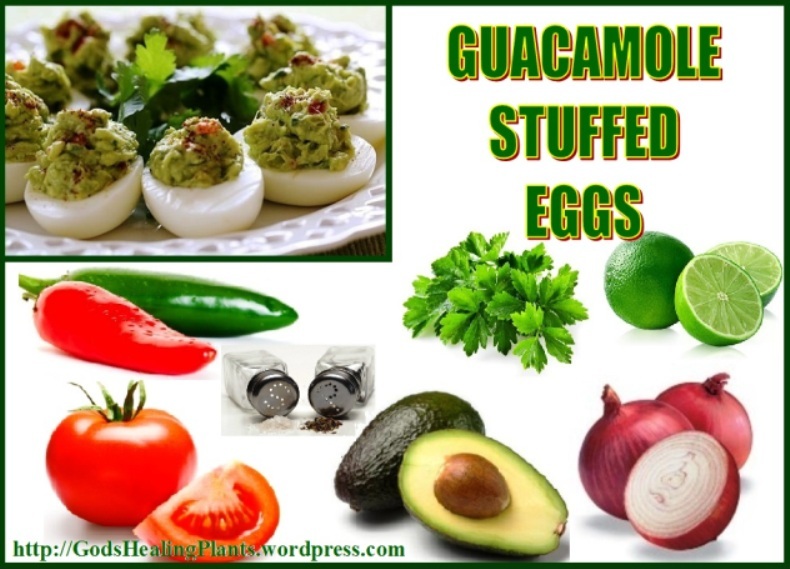 Mix in lime juice, red onion, jalapeño, cilantro, salt and pepper and adjust to taste. Gently fold in the diced tomato. 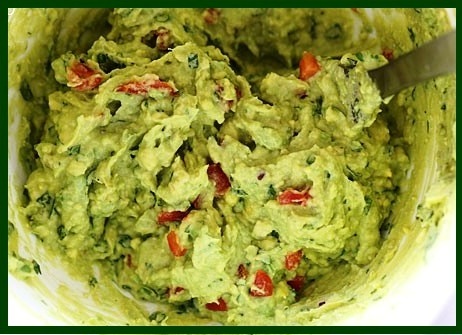 Scoop heaping spoonfuls of the guacamole into the 12 halved eggs. Sprinkle with a little chili powder for color and arrange on a platter. NOTE: You will need only 2 whole egg yolks for this recipe, and can use the remaining ones in another recipe of choice.